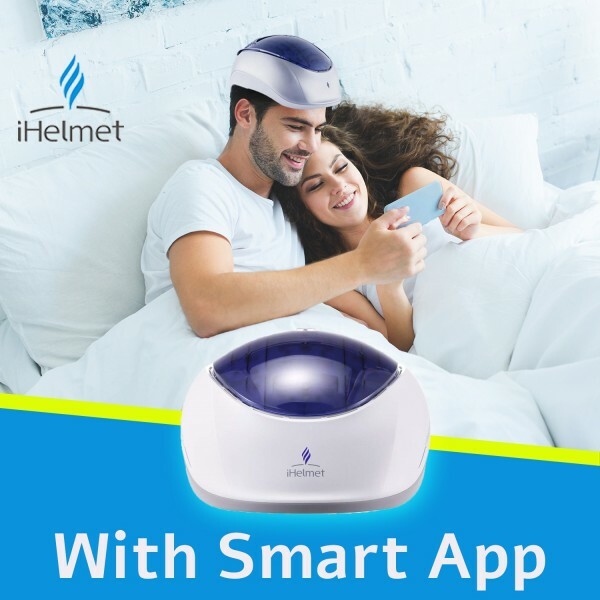 Hair Growth Helmet – The first and only FDA cleared Laser Hair Therapy For Home Use with mobile APP, using 200 laser diodes. – 180 days money back guarantee! Are all those anti-hair loss shampoos, scalp serums, and thickening oils doing more harm than good? 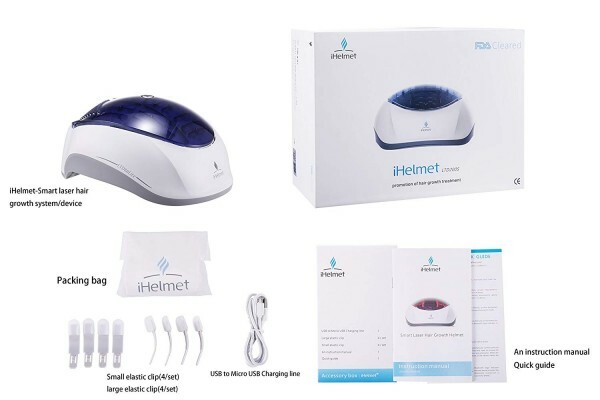 Upgrade to iHelmet’s low-level light therapy (LLLT) hair growth helmet, which requires nothing but your scalp in order to regrow strong, thick hair, and more of it. This gentle laser treatment stimulates regrowth at the root, achieving 88% efficacy for the ideal hair loss treatment for women and men’s scalps alike! Why is the iHelmet so effective? It combines 202 laser diodes with revolutionary technology for absolute accuracy. 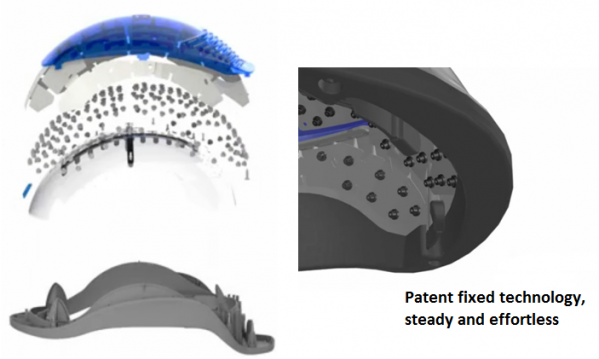 Your helmet features 7 customized sections across the scalp and then adjusts the laser strength depending upon what each section needs. 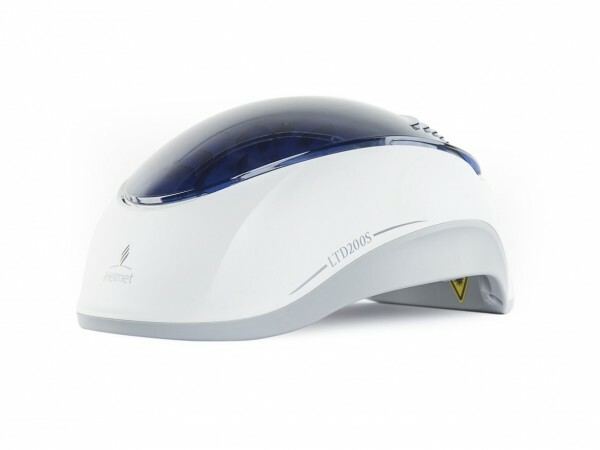 The pinpointed 650nm/5mw low-level lasers boost blood circulation to the scalp, supplying your cells energy and nutrition to stimulate the regeneration of hair follicles. Auto Stable Energy Ensures More Effective Sessions: iHelmet’s lasers offer continuous light therapy regardless of the temperature you’re in. The self-adjusting, self-stabilizing energy technology always administer the proper level and duration of laser treatment to your scalp. Remind, record, evaluate, and treat with the first-of-its-kind hair growth app! Install the iHelmet app from the iTunes or GooglePlay store to upload pictures of your regrowth progress, schedule and track your treatments, and more. With a 4.0 Bluetooth connection and multi-language capability. Thinning, balding, alopecia, and chemotherapy can all result in hair loss for both men and women. You’re not alone, and there is a SAFE solution: iHelmet’s LLLT hair growth cap. 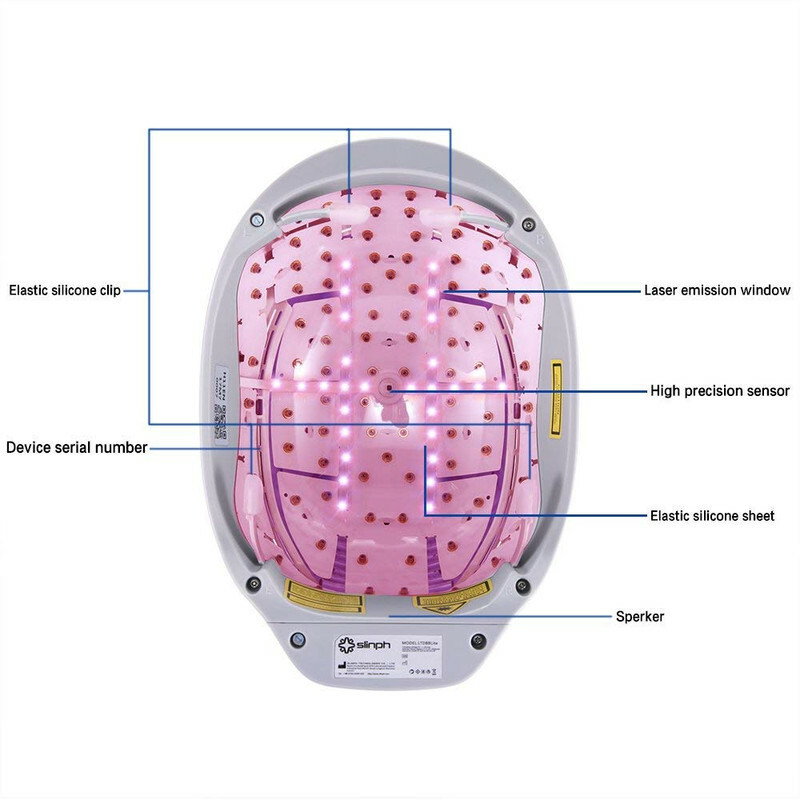 Our FDA-approved cap uses 200 laser diodes to stimulate the scalp and regenerate and regrow hair follicles safely. Imagine laser therapy for hair loss that’s totally pain-free and has no side effects. 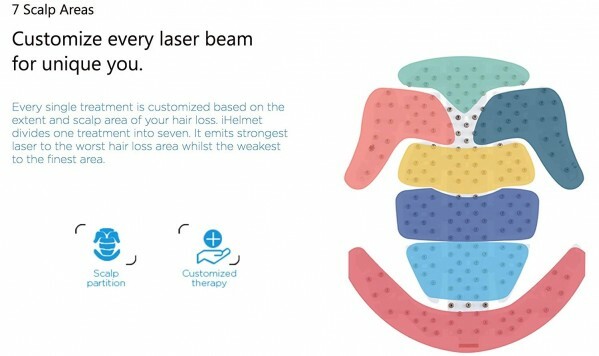 iHelmet’s laser hair regrowth hat has all of that and more. Your helmet is comfortably lightweight at around 1 pound, and it can even adjust to your head size. Effortlessly grow strong, healthy hair in the comfort of home with iHelmet. It’s a far less expensive and time-consuming alternative to invasive, often painful procedures, and it’s totally drug-free! Try laser light for a simple, painless option. Get the treatment tailored to your unique needs! 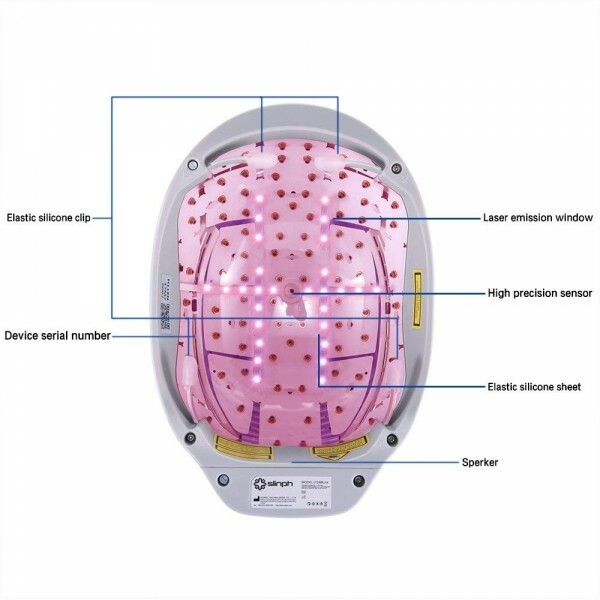 iHelmet features innovative laser technology that creates a personalized protocol for more effective treatments. 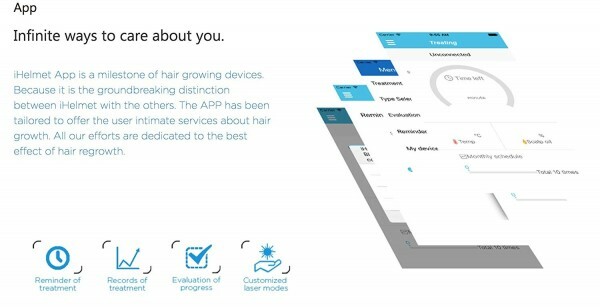 Your hair growth hat also comes with a Bluetooth-compatible smart app for iOS and Android devices, so you can record your treatment history and track your progress. Investing in yourself is the best decision you can make. That’s why we promise to refund you in full if you don’t begin to see satisfactory results within 6 months of buying your hair regrowth helmet. Get it now with 180 Days Money Back Guarantee!